For boys, a pre holiday pamper might be a haircut, shave and a shower. For girls, it’s a completely different story, isn’t it? There’s the hair appointment, nails, lashes, skin prep etc. I’m gonna be honest, I love the excuse to have a pamper, so the couple of days before going away I love to indulge a little at home. 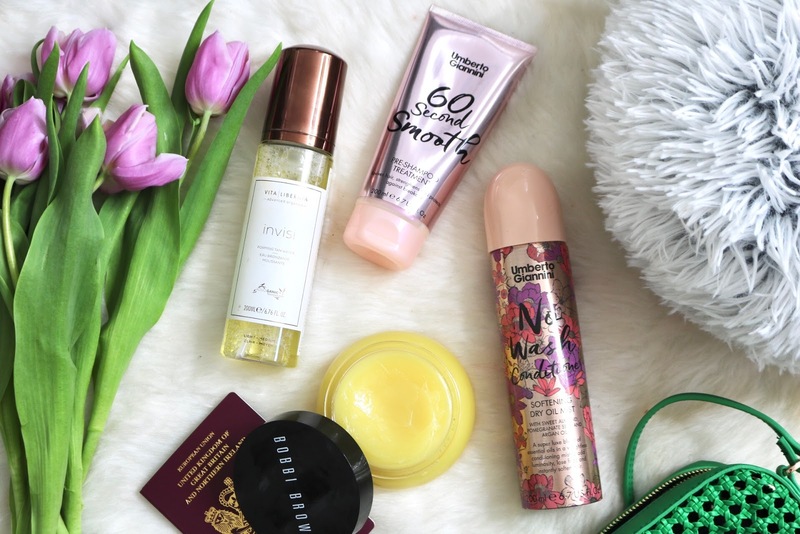 These are a few things I’ve done to get myself feeling holiday ready. I had my highlights and lowlights done last week, to give my blonde time to die down slightly before we go away. My hair always feels really dry from the sun when I’m away so I decided to try a few products to keep it in good condition whilst I’m there. I saw the lovely Gem Ellis use this 60 Second Smooth and the thought of a pre shampoo really intrigued me. It helps to keep hair feeling nourished, my hair felt so silky after using it! I don’t always have time for this kind of product but every now and again this will be a lovely treat for my hair. I also picked up this dry conditioning spray and I’m so glad I did. I use dry shampoo so much on my roots so it’s nice to have something to give the length that extra oomph. It makes my hair shiny but also gives it more texture which I’ve been loving. The main thing that sold this tan to me was that it claims to be non transferable. I have ruined countless white t-shirts and bedding with fake tan and it’s so frustrating but I just started to accept it, until now! I don’t tan on holiday, I’m the one you’ll see shade bathing with a t shirt on, so obviously I’ve got to fake it in the evenings when everyone else looks like bronze goddesses. I’m gonna give this tan a go and will report back on the transfer issue. This is one for a couple of nights before we go, but I love prepping my skin ready for the sun. I love this as an every now and again face mask as a treat and it makes my skin feel so soft. It does feel a bit sticky when you apply it but the results are worth it I think. And it smells really citrus-y which I love. 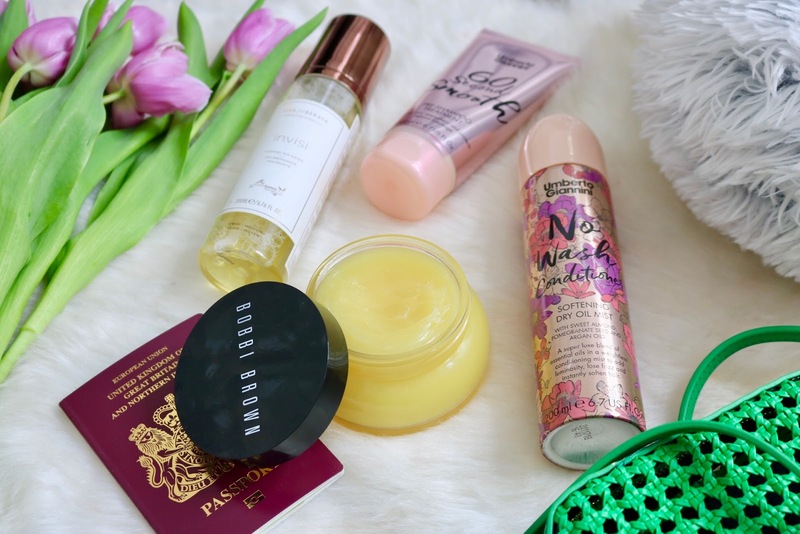 That’s everything for my pre holiday pamper! Let me know in the comments if you have any pre-holiday rituals or if you’ve tried any of these products. I’m so intrigued by the hair products you mentioned, I might have to try some myself. 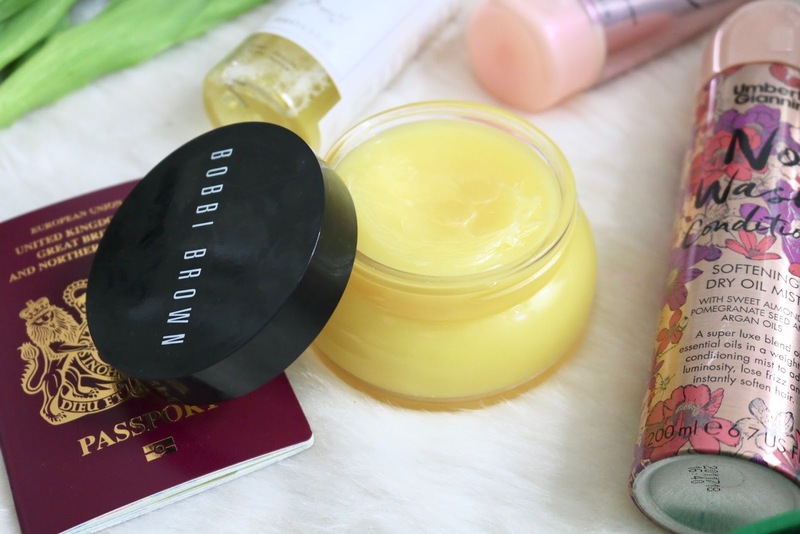 I do a pre holiday pamper - the Bobbi Brown product looks so good!